In this image, the tiny disk of Mercury is below center. A large sunspot is visible near the left limb, and two smaller sunspots are visible near the right limb. 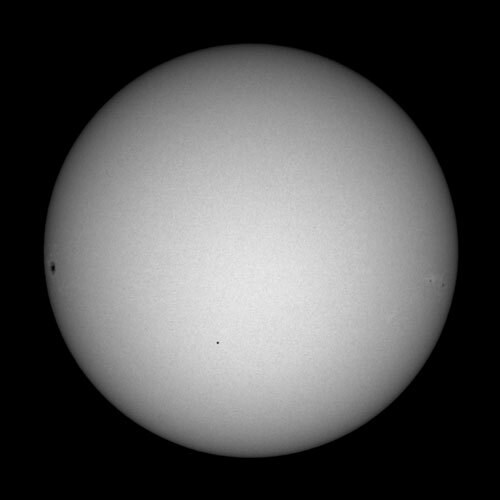 The bright areas near the sunspots are known as faculae. The apparent diameter of Mercury during this transit was 10 arcseconds.